Sometimes it still blows my mind that I get to hang out with amazing couples and awkwardly banter with them about Bachelor in Paradise for a living. When Holly and Max reached out about wedding photography, they mentioned how it was important for them to work with someone who could capture both the small and big moments of the day. They didn’t want anything to feel posed, just genuine smiles and real emotions. When I’m shooting weddings almost every weekend during busy season, it can be a bit of a blur. Holly and Max’s wedding weekend was a triple header for me. As much as it can be a rush of adrenaline to shoot three weddings over three days, I still remember to step back and soak up those moments — both big and small. Reliving everything while editing the photos always makes me smile. Seeing Max playing a competitive game of rock-paper-scissors with his mom after she pinned on the boutonniere. The look on his face when he saw Holly during the first look. Cuddling through pre-ceremony nervousness, while being paparazzied by pre-teen shoppers. Two families about to become one, blanketed by Max’s father’s suit jacket during the sweetest group hug. Two sisters squeezing each other close after a powerful toast, only to be followed by sibling face squishing. 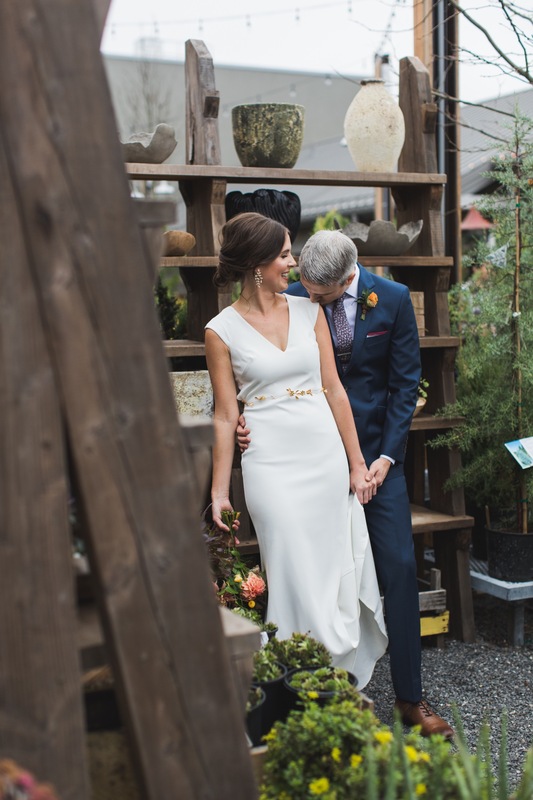 There are so many more moments that stand out to me from Holly and Max’s day at Terrain. But more importantly, these two humans themselves are unforgettable. They’re so gracious and kind (and hilarious) and have the very best cat named Brewster who loves death metal. As much as I love photographing weddings, it means just as much to me to be able to follow along with a couple’s journey after the last song has played. Major props to all of my vendor friends who absolutely killed it, as well as my second shooter, Brittney Raine.